I’ve stayed at two hotels in the past and loved them both. They are actually across the street from each other so the location can’t be beat on both. 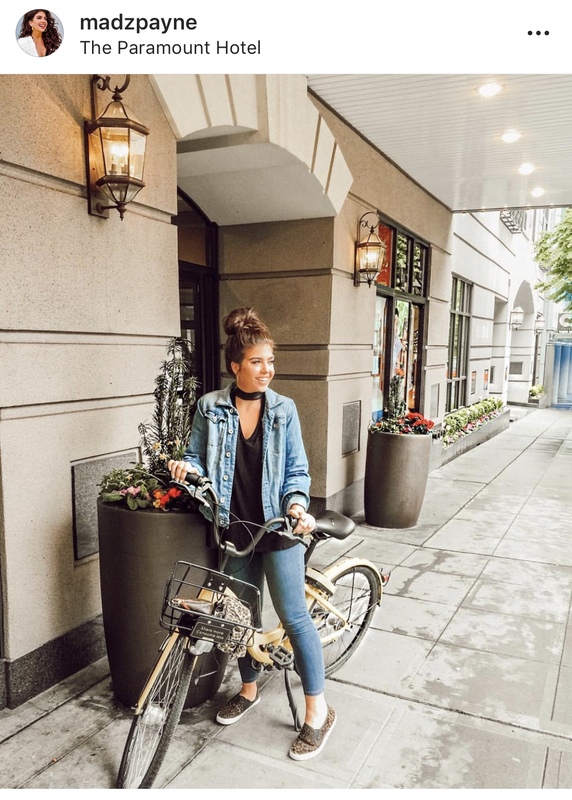 Paramount Hotel: Cozy boutique hotel with the friendliest staff ever!! Theodore Hotel: Formerly Hotel Roosevelt I wanted to stay here because the Roosevelt was pretty iconic. Now renamed, but still, kept the same cool vibe. Walk: Wear comfy shoes and explore the city on foot. If you stay downtown, everything is pretty close, and I loved walking around to explore. This is super doable most of the time, the only time we used a ride service was when it was raining. The Rail: The cities public transportation. I didn’t take this, but I had several people tell me while I was in Seattle that this was easy to navigate. This is a cheaper option, although it will take longer to get somewhere than just grabbing an Uber or Lyft. There are so many great things to see in Seattle that I made an entire guide on it. 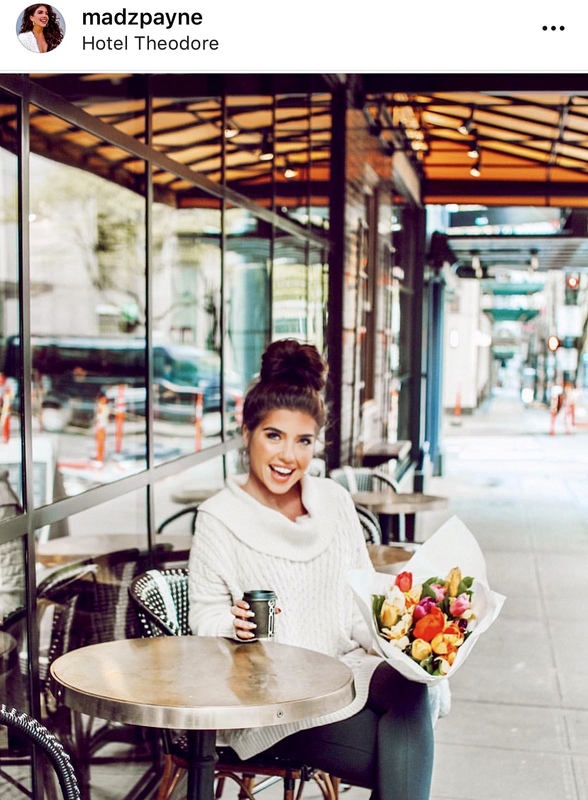 Check out Instagrammers Guide to Seattle: Where to Take Pictures in Emerald City. 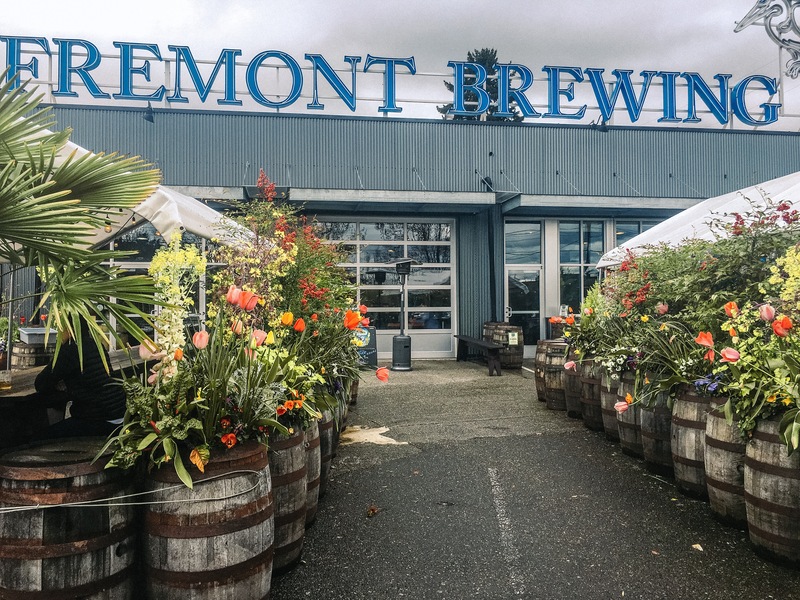 Freemont Brewing: Maybe my favorite brewery I’ve been to (and I’ve been to a lot). The outdoor space was adorable, the indoor area was cozy, and the beer was terrific. We had the Blonde Brew and the Cider. The blonde beer was so good, but the cider was better just saying! Shug Soda Foundation- technically this could fall under eating and drink. Nest (inside Thompson Hotel)- This was recommended to me by the lovely Colleen from Shrug. And what a great recommendation it was!! 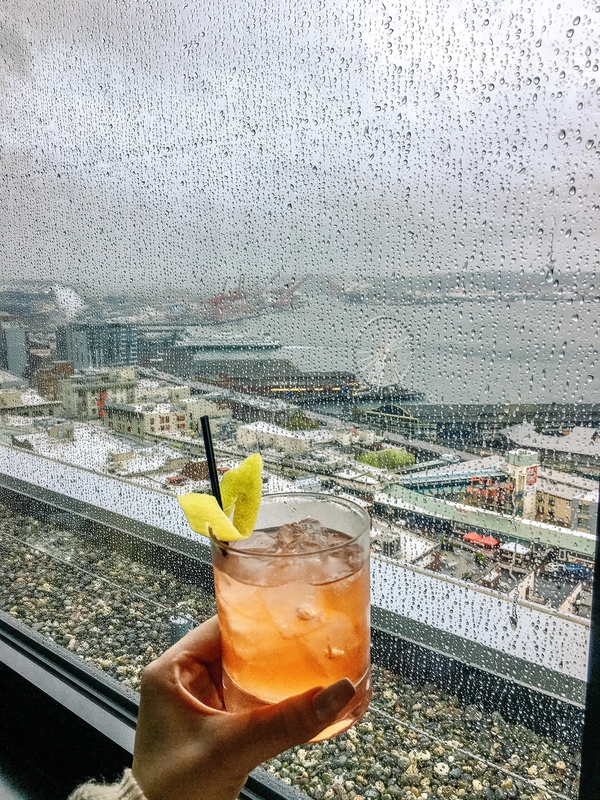 You can see all of Seattle from this rooftop bar. So fun! The food in Seattle was suprisingly SO GOOD! 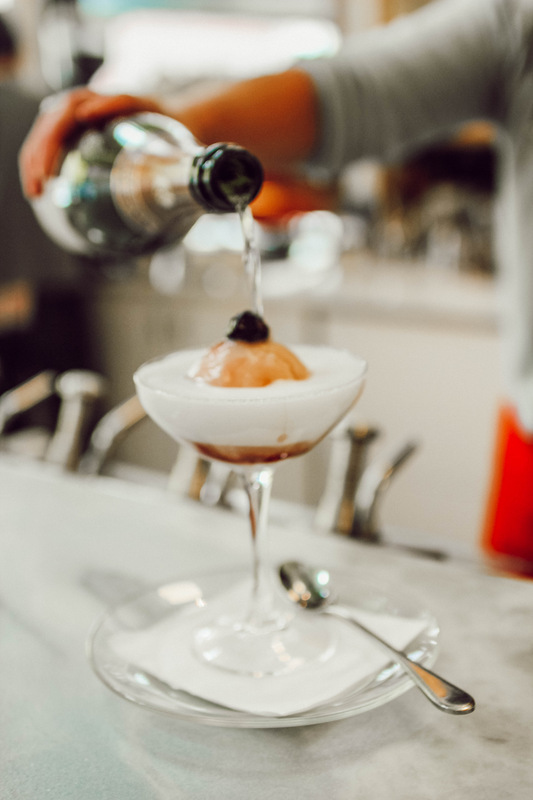 See my complete Guide on where to eat in Seattle. Stone Way Cafe- Nestled in the Freemont area. Great coffee and a fun spot if you want to get the hipster vibe of the city. Lateral Lattee- One of my uber drivers couldn’t get over how great this coffee is! He used to work for Starbucks and still would pick up this coffee instead. Original Starbucks- A bit of a wait but not overrated in my opinion. I also picked up adorable souvenirs. This is also located in Pikes Market. Starbucks Roastery- WOW! I cannot believe this place isn’t on more Seattle Travel Guides Y’all. It is a must do in my opinion. There is so much to do that I will be covering the Roastery in an additional blog post. Okay you guys, do not go to this town if you don’t have a raincoat. Minimally you need something with a hoodie.